Zenport ePruner 9-PIN POLEKIT 72-Inch Pole Extension Kit for EP2 and EP3 Battery Powered Electric Pruner. 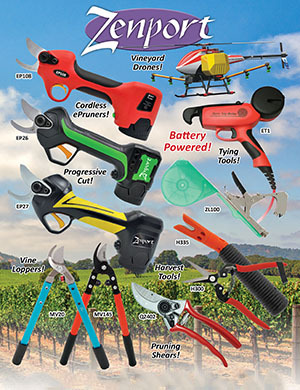 Everything you need to extend your battery powered electric pruner 6-feet so that you can reach those branches and limbs without the use of a ladder. Kit includes 52-inch x 1.125-inch Aluminum Pole (EP20040), 20-Inch x 5.5-Inch Handle (EP20039), Pruner Pole Adapter (EP20037) and Pole Handle Connector (EP20038). The kit also comes with a safety strap to help tether and add leverage to the pole for easy handling. Pole includes a 24" foam grip that provides comfort and also softens any impact with the lower portion of the pole. The handle trigger includes a safety lock to prevent injury and damage from unintentional activation of the cutting blade.